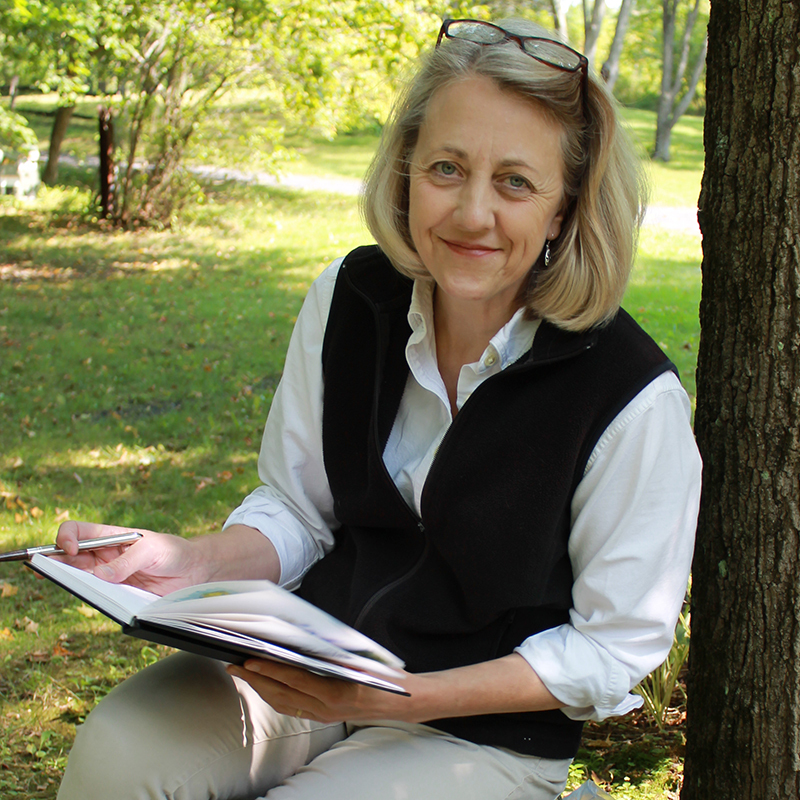 As an artist with a background in art history, teaching, and museums, Kathryn looks forward to furthering the Art School of Columbia County’s vision of “imagining art for everyone.” Kathryn has a BA from Yale University and MA from Cornell University, and worked for the National Park Service as a museum curator. She has a special interest in the intersection between art and language. Kathryn’s art has been in juried exhibits and solo shows in arts centers and museums throughout the northeast, mid-Atlantic, and in Korea. She also teaches classes in textile collage and en plein air inspired collage. More information may be found on her artist’s website. Sayzie Carr happily relocated the vibrant artists’ community of Hudson a year ago. After attending Rhode Island School of Design as an undergraduate (with a degree in painting) she went to New York to pursue a career as an artist. She was granted a studio space at a then-abandoned old school building in the East Village, PS 122, that was the center of her universe for more two decades. There she worked with other artists in the building to run a small nonprofit gallery for emerging artists. And to support her art career, she became involved in textiles, designing fabrics for fashion and working in the interior fabric industry designing promotional items and creating displays. Hiring students to assist her work piqued her interest in becoming a teacher, since she enjoyed showing young people how to do things and exploring new materials and mediums with them. 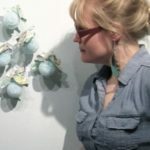 After moving to the northwest corner of Connecticut, Sayzie pursued teaching full-time at a private school, and she returned to RISD for a graduate degree in art education. She finds teaching art the best job ever! Sayzie has exhibited her work in numerous shows in New York, the United Kingdom, and New England, and has received fellowships from the MacDowell Colony and the Edna St. Vincent Millay Colony. Tim Ebneth is an artist, illustrator and designer who lives and works in Kinderhook, NY. Growing up in New York City, his passion for art began with visits to the Museum of Modern Art and the Metropolitan Museum of Art. He studied Fine Art at Pratt Institute and graduated as a Fine Art and Illustration Major from the School of Visual Arts. His art career began while attending the School of Visual Arts, illustrating and designing windows and installations for clients such as Bergdorf Goodman, Gucci and Barneys. Tim is a set designer and stylist for photo shoots, videos and commercials. His professional work can be seen in Vanity Fair, O Magazine, The New York Times as well as advertising campaigns for major corporations. 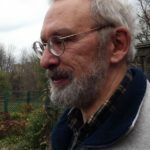 Since moving to the Hudson Valley, his work continues to flourish. The surrounding landscape and the energy of nature, serve as newfound inspiration for Tim’s drawing, painting and mixed media pieces. Tim’s studio was created when he discovered a 150-year old barn and had it moved and reassembled on his property, and its panoramic view of the Catskill Mountains provides inspiration. 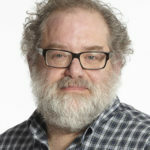 Tim Ebneth’s work has been exhibited throughout Hudson, NY and the Hudson Valley at various galleries, The Hudson Opera House, select juried and invitational exhibitions, as well as in private collections. His website is: timebneth.com. Tim is the recipient of the Art School of Columbia County’s Award for Excellence in Teaching for 2015. Gary Finelli has been an artist for over forty years. His education was in Superior, Wisconsin where he received a Bachelor in Fine Arts. Upon moving back east to New York City, he earned a Master’s Degree in Art Therapy from New York University. 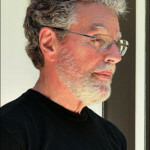 He has exhibited in many juried shows and has won awards for his art. Much of his fine art is influenced by illuminated manuscripts which he has been re-creating in a contemporary version. His strong design for the layout of his subject matter consists primarily of abstracted versions of portraits, figure studies and landscapes. As an illustrator he has drawn political cartoons for a newspaper in the mid-west, designed greeting cards, and has illustrated two books. Examples of Gary’s portraits and fine art work may be found on his website. Gary is the recipient of the Art School of Columbia County’s Award for Excellence in Teaching for 2017. 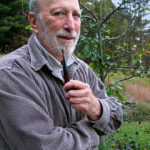 Jerry Freedner has had a recent show at the Carrie Haddad Gallery in Hudson, NY, and has exhibited his work in juried shows at the Barrett Art Center, Spencertown Academy, and the Italian Cultural Institute in NYC, among others. He studied photography at the New School in NYC in the 1960s and later with Lisette Model. He has an enduring affinity with nature in all of its forms, and within the last ten years his concerns have shifted to the intense fragility of this earth we share. Jerry hopes that his work might serve as a vehicle to stir a sense stewardship: to conserve the wonder and beauty about us, which is now fraught with unhappy change and threatened loss. 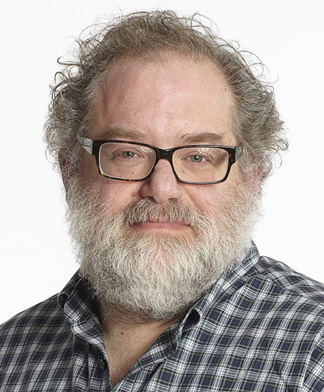 Jerry is the recipient of a grant from the Berkshire Taconic Community Foundation, which he is using to explore rural and farmland conservation in his photography. More information may be found at: www.jerryfreedner.com and additional images at .www.carriehaddadgallery.com. Read Kathryn’s interview with Jerry on our What’s New? page. 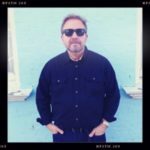 Jamie Hankin received a BFA in photography from Pratt Institute in Brooklyn, NY in 1982 and received an MFA in photography from the Savannah College of Art and Design in August of 2016. A successful long-time commercial photographer, Jamie was most recently Director of Studio Photography for Saks Fifth Avenue. Previously, he has worked for global clients such as J. Crew, Nike, Foot Locker, LL Bean and Macy’s. He has also worked for editorial clients such as Vogue and Interview magazine. Jamie’s photography is included in worldwide collections and has been shown internationally. His latest work was selected to be shown at Currents, at the Ogden Museum of Southern Art in New Orleans, which opened in December 2016. He has previously shown at the Oglethorpe Gallery in Savannah, GA and the Carrie Haddad Gallery in Hudson, NY. Maj Kalfus was born in Brooklyn, New York. 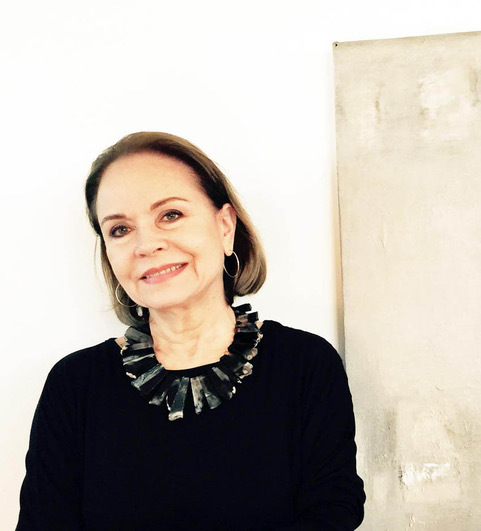 Her paintings and drawings are influenced by an extensive career in the fashion industry. After attending the High School of Art and Design and the Fashion Institute of Technology in New York City, as well as classes at the School of Visual Arts, her career which began in the field of fashion illustration, evolved into fashion merchandising, marketing and design. Re-entering the world of fine art, she joined the Studio Arts Program at SUNY Empire State College in Chelsea and participated in several shows. Her very personal style of family portraiture has led to privately commissioned paintings and drawings. With a studio in the country she has taken advantage of the natural landscape and gardens with interpretations of flowers and country vistas. Roosters, hens, and goats have also become part of her repertoire. More recently she has developed a following as an art teacher with classes in figure drawing, painting, color and design in New York and Massachusetts. And, she has been drawing cartoons expressing her views on political and social issues for many years. Maj and her husband, photographer, Lonny Kalfus have their studios in a century old, renovated farmhouse in Columbia County, NY. Collections of Maj’s works have been exhibited extensively throughout Columbia County. More information may be found on their website: www.kalfus-studios.com. Maj is the recipient of the Art School of Columbia County’s Award for Excellence in Teaching for 2018. Read Kathryn’s interview with Maj on our website. Artist and educator Jean Mackay has been exploring nature and sharing its beauty and diversity with others for more than 20 years. Working in all kinds of settings, from tide pools to farm fields to museums, Jean’s watercolor paintings and journals reflect a keen eye for detail and profound sense of wonder. 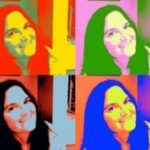 Her blog, Drawn In, shares the ordinary, yet extraordinary things that she encounters close to home and farther afield. Jean has an M.S. in Environmental Education from Lesley College. In addition to teaching at the Art School of Columbia County, she directs the Arts and Birding program each July at the Hog Island Audubon Camp in Maine. More information is on her website: www.jeanmackayart.com. 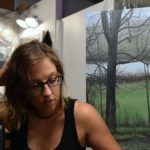 Eileen Murphy spends much of her time visiting her family in Columbia County, where for the last several years she has been making landscape paintings based entirely around a small pond in Hillsdale. She has spent most of her life along the Hudson River, first in Westchester, and now in Brooklyn, where she has lived for the last twelve years. Living in the city has made Eileen appreciate the spectacular beauty of the Hudson Valley. Eileen has a BA from Mount Holyoke and an MFA from Pratt Institute. She has shown widely in New York City and in Hudson, and has also spent six years working in the studio of Jeff Koons. More information is on her website: www.eileenmurphy.net. Perhaps best known for her botanical paintings, Sara Pruiksma has exhibited widely throughout upstate New York. Pruiksma received her MFA from the State University of New York and graduated with her BFA from Alfred University School of Art and Design, after receiving her Associates degree from Columbia-Greene Community College. Currently Pruiksma is a Design Assistant at May + Watkins Design, and the Curatorial Assistant at the Albany International Airport. Her work at May + Watkins Design allows her to assist in the creation of large-scale public art commissions, interpretative exhibits and fantastical play structures across the United States. As Curatorial Assistant she assists in implementing multifaceted projects for the Art & Culture Program, including wide-ranging exhibitions and site-specific installations throughout the terminal. 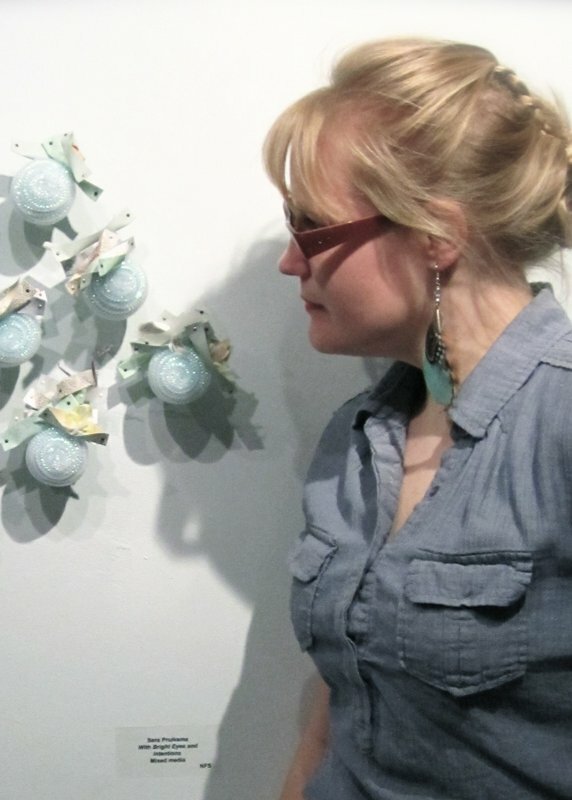 Sara continues to teach at the Art School of Columbia County, and pursue independent curatorial projects. For more information, please visit her website. Learn more about Sara’s approach to teaching: read our interview with her. H.M. Saffer, II launched his art career at age of six. A graduate of Temple University, HM’s life took many exciting paths, including becoming a successful songwriter and producer and the chef /owner of restaurants in Paris and Ibiza, Spain. HM never stopped painting and exhibiting his works and before returning to the United States in 1970, he completed selected studies at L’Ecole Des Beaux Arts and exhibited in Paris and Brussels, Belgium. HM’s musical career took him to Warner Brothers and, while there, he painted a forty foot mural in their Madison Avenue Headquarters. Always looking to broaden his scope, HM studied the art of Japanese brush painting and subsequently traveled to Japan to study with Japanese masters, and there he met his wife, Hisayo. While in Japan, HM adapted his Sumi-e techniques by applying Western styles of painting. He was represented by Galerie Musee and the Artbridge Gallery in Japan, and in Hong Kong by Alisen Gallery and the Kwai Fung Hin Gallery enjoying successful solo exhibits. His style of painting shifted from exclusively works on paper to include oils. He began melding his Oriental influences with his Western styles in order to create new and different paths towards interpersonal visual expression, and his current works are a reflection of this mélange. HM has instructed at the Norman Rockwell Museum in Stockbridge, MA, Berkshire Community College, and Columbia-Greene Community College. He currently has gallery representation in the United States and Internationally. HM and his wife live in Upstate New York. Visit HM’s website. Read Kathryn’s interview with H.M. on our “What’s New?” page. Arlene Santana Thornton was born in Jersey City, NJ, USA. She completed her BFA at Florida International University in Miami, and then moved to New York City for graduate studies in art and humanities at New York University, and painting at the Art Students League of New York with Richard Pousette-Dart. Arlene lived and worked for five years in Italy in the Rome, Veneto, and Tuscany areas, painting and studying art and culture at the Dante Alighieri School in Rome. Her travels in Europe have included Germany, England, Spain, and France, with other sojourns to Russia, Japan, and South America. Color, light and textures from these experiences plus her deep connection with the beauty of the natural world and the universality of human experience, continue to inform her work and her life. 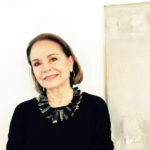 Arlene Santana’s paintings and drawings have been exhibited in over fifty group and solo shows in museums and galleries in Europe and America. She is represented in many private and corporate collections and now lives and works in the Hudson Valley. More information is on her website. 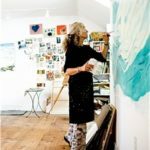 Karen Arp-Sandel, visual artist and inspirational art educator, is known throughout the Berkshires for her fresh, playful approach to mixed media creativity. 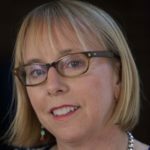 With a background in education, graphic design and a BA from University of Massachusetts, Karen ignites the creative process in her adult classes and workshops. She specializes in collage, artist books and watercolors. Her artwork can be viewed in local galleries, in private collections and internationally. In addition, she is the Co-founder of FeMail, and engages in a worldwide network with mail artists. Karen’s current activism is fueled by the momentum of local and international outreach and she expands her horizons with traveling art exhibitions by ABAD Australia and the International Sketch Book Project. Karen thrives on the creative nourishment of her artistic immersion experiences in the Penland School of Crafts (NC) community and artist residencies. Her passion is to illuminate the transformational power of living a creative life. More information is on her website.